Discover 30 Bedroom Ideas To Be Inspired By ⇒ You’ve found the perfect place to be inspired. 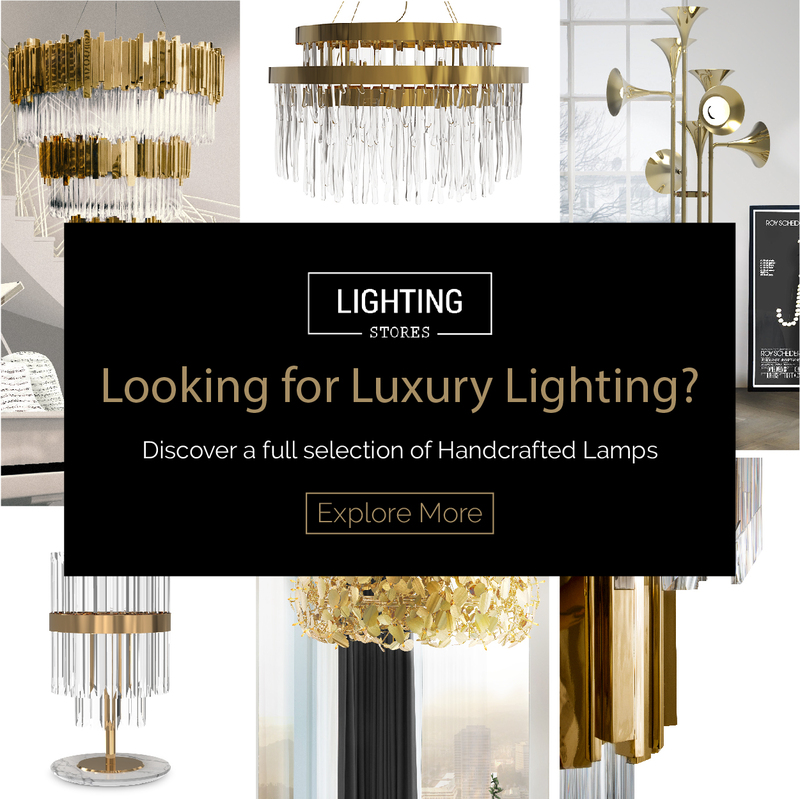 The Covet Group brands, such as Boca do Lobo, Brabbu, DelightFULL, Essential Home and Luxxu bring you 30 bedroom ideas, with styles ranging from contemporary to mid-century modern. Here you will find every product idea you need, from upholstery to lighting. Enjoy! The centrepiece of this bedroom is clearly the mid-century modern bed (Sophia) by Essential Home, with its soft colour palette. The minimalist lighting (Ike) by DelightFULL is functional while going beautifully with the gold bedside table (Botti) also by Essential Home. This contemporary bedroom is full of statements like the contemporary lighting pieces (Apache), the brass bedside table (Koi), both by Brabbu, and the graphic rug. All is perfectly balanced thanks to the contemporary cream armchair (Dalyan) also by Brabbu. This luxurious bedroom caters a modern decor, thanks to elegant accents like the fur bedding, the velvet armchair (Naj Bold) and the wooden bedside table. The modern table lamp (Calla) brings a touch of light into the space. This modern bedroom decor exudes luxury and elegance. The contemporary lighting (Amik) goes together beautifully with the bespoke golden bedside tables (Sequoia), both by Brabbu, creating the perfect ambience for relaxation. This luxurious bedroom proves that a neutral colour palette can still make for an exquisite space. The detailed gold bedside table (Crochet) is clearly the centrepiece of the room, complemented by the golden wall sconces (Newton) by Boca do Lobo. A modern bedroom decor is easily achievable by combining a contemporary bedside table (Frank) by Boca do Lobo, muted and neutral colours as well as elements of contemporary lighting (Brubeck) by DelightFULL. The bespoke wooden bedside table (Guggenheim) by Boca do Lobo is the jaw-dropping main focus of this contemporary bedroom, whose patterned floor and contemporary lighting work perfectly with the remaining decor. The main feature of this modern bedroom is the soft grey bed with an incredible upholstered headboard, complemented by the unique golden bedside table (Lapiaz) by Boca do Lobo and the black and gold suspension lamps (Ike) by DelightFULL. This stylish bedroom has a dark feel thanks to the contemporary leather bed, complemented by the contemporary suspension lamps (Vellum) by Brabbu. The colourful bedside table (Pixel) by Boca do Lobo brings a touch of light into the space. This dark contemporary bedroom has bright touches thanks to the modern gold bedside table (Sinuous) and the exquisite gold wall sconce (Newton), both by Boca do Lobo. This dark bedroom exudes elegance courtesy of the stunning black bedside table (Tower) by Boca do Lobo. The incredible black and gold lamp (Charles) by DelightFULL helps to create the perfect contemporary bedroom. The upholstered grey bed is the centrepiece of this modern bedroom decor. The unique golden bedside table (Wave) by Boca do Lobo is beautifully complemented by the contemporary lamp. A mid-century modern room needs to be colourful. This space relies on the orange velvet armchair that complements the blue panel. A mid-century modern bed (Sophia) by Essential Home and mid-century gold chandelier (Botti) by DelightFULL are the perfect match. This contemporary dark bedroom has an outstanding upholstered bed, but the focus is on the unique bedside table (Frank) by Boca do Lobo. The black and gold armchair (Reeves) by Essential Home and modern lighting (Charles) by DelightFULL add an extra layer of luxury to this bedroom. The exquisite headboard is the main character in this modern bedroom decor. The black and gold bedside table (Konstantin) by Essential Home and contemporary suspension lamps (Hanna) by DelightFULL bring all the luxury needed into this space. The pastel pink bed (Sophia) by Essential Home is the focus of this mid-century modern bedroom. The modern gold bedside table (Botti) also by Essential Home and black and gold lamps (Ike) by DelightFULL are what ties it all together. This space is the best example of a contemporary bedroom. With an overall neutral colour palette, it features an earthy feel due to the wooden headboard, while the contemporary gold lamp (Matheny) by DelightFULL gives a touch of luxury. The centrepiece of this colourful bedroom is obviously the upholstered orange headboard. The bespoke bedside tables (Soho) by Boca do Lobo also bring colour into this space, while the wall sconces (Matheny) by DelightFULL are both functional and stylish. This youthful bedroom has the greatest decor suited for a hip teenager. The minimalist wooden sideboard gives a Scandinavian touch to the bedroom whereas the modern lamp (Pastorius) by DelightFULL adds an elegant mid-century flair. This minimalist and modern bedroom has clean lines without losing the luxury feel. The centrepiece is the unique floor lamp (Turner) by DelightFULL, complemented beautifully by the modern armchair. This luxurious bedroom decor combines several different styles, proving that using many a time can actually work perfectly. The geometric bedside table (Diamond) by Boca do Lobo is further enhanced by the mid-century modern wall lamps (Simone) by DelightFULL and fur bedding. A contemporary bedroom decor is beautifully achieved thanks to the exquisite chandelier (Duke) by DelightFULL, a modern armchair and the contemporary table lamps (Coltrane) also by DelightFULL. A mid-century modern bedroom can also be obtained through the use of grey tones. The marble bedside table (Jacobsen) by Essential Home and the golden wall sconce (Brubeck) by DelightFULL are luxurious elements that give emphasis to the nature of this style, the same can be said with upholstered grey bed (Sophia), also by Essential Home. The main focus of this modern bedroom is divided between the bespoke bedside tables (Guggenheim) by Boca do Lobo and the unique golden lamps (Turner) by DelightFULL. The wooden stools (Tiffany) also by Boca do Lobo give a touch of earthiness that goes along with the colour palette. This ethereal bedroom decor features original golden lamps (Draycott) by Luxxu that are complemented by the unique bedside table. The soft colour palette is the common element the ties the room together. This bedroom features a more contemporary decor, with a luxurious golden wall sconce (Waterfall) at the entrance and a dramatic chandelier (Waterfall) above the bed, creating an atmosphere fit for royalty. Both products by Luxxu. This mid-century modern dressing table (Monocles) by Essential Home is the perfect element to add to a corner of your bedroom. The jaw-dropping floor lamp (Armstrong) by DelightFULL is an eye-catcher, while the blue velvet stool (Florence), also by Essential Home, adds functionality and style. A contemporary sideboard is a perfect piece to not only add style to your room but also storage space. To complement the modern decor of this bedroom, the unique chandelier (Atomic) by DelightFULL brings touches of rose gold into the mix. The gold and marble bedside table is the perfect complement to the mid-century modern table lamp (Botti) by DelightFULL that will light up the bedroom. The neutral colour palette is the best choice for a modern space. A modern reading corner is an excellent option to introduce to a bedroom set as it makes the room even more luxurious. For instance, this set has an exquisite floor lamp (Miles) by DelightFULL paired with a contemporary chaise longue, where you can relax while reading your favourite book.